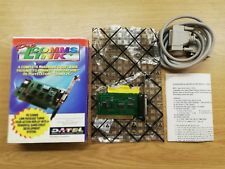 Great PAL collection with boxed console, accessories and great games. Auction from the UK. Still sealed. 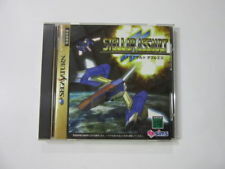 Auction from Japan. Check the seller's feedback before bidding. complete with regcard, spine card and sticker. Very good price atm (only 12.50 USD!). Auction from Yamatoku. complete in good condition. BIN Auction with offers accepted. in box with cable and manual. Auction from Germany. 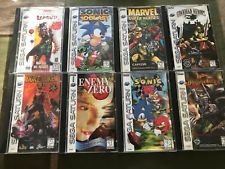 With Enemy Zero, Dragon Force, Guardian Heroes, Loaded, Duke Nukem 3D, Marvel Super Heroes, Sonic R and Sonic 3D Blast. Very good bundle. Auction ends tomorrow. 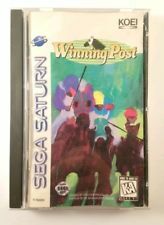 no spine card, no regcard, but very good BIN price. Auction from France. with titles like Three Dirty Dwarves, X-Men COTA, Mortal Kombat, Scud, Croc, SFA, etc. 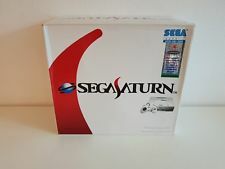 BIN auction for this Asian White Sega Saturn console, new. From Netherlands. 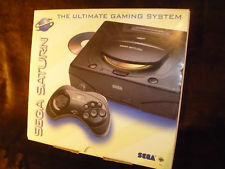 This BIN auction is for a brand new SEGA Saturn video game system. Offers accepted. From the US.